It’s Guest Blog Wednesday featuring David Mclain! Some Things I’ve Learned Over The Years. In Order Of Importance. Six things I have learned over the years that are relevant to this increasingly common desire. In order of importance. 1. How you see the world and what you have to say about it (also known as point of view) is the single most valuable asset you have as a photographer. Often, developing a strong point of view has very little to do with photography and a lot to do with what you read, think, and have seen. What is you point of view? What you are doing to develop and expand it? 2. Be a nice person. Clients give work to talented people they want to spend time with. Its that simple. In the past 25 years I could probably trace every job I have ever gotten back to about 15 people. They would recommend me to others because I had put in enough hours to get good at my craft and they enjoyed my company. Its that simple. Solid Talent + Nice Personality = Third Person Referrals. Third person Referrals = everything. This also happens to be a much less icky way to think about marketing. 3. Walk before you fly. The curve of every successful photographer I know represents a slow and steady rise over time powered by passion. They started with small unglamorous assignments for small unglamorous publications and through dogged commitment and talent built their careers one picture at a time. Sorry folks, there is no fast track to success. For some reason people don't want to hear this. I'm gonna sound old here, but this is especially true with some younger people. It takes 10,000 hours to master a craft. The sooner you accept this, roll up your sleeves, and start doing the hard work the better off you will be. 4. Find a mentor (and listen to them). I can trace everything that has ever happened in my career back to 4 mentors. Each of them helped me through different stages of my career in a very old­ fashioned way. Basically, they would give me advice and I would follow it. A lot of the time this advice made no sense but in retrospect it always did. None of them every told me I was great and all of them expected a lot of me. 5. It's not about the gear. For every minute you research or think about gear/technology you need to spend 100 hours actually using it. Look at the greatest photographs ever taken, almost all of them could have been shot with a 35mm or 50mm lens. I'm begging youâ¦ shut down your computer get offline and shoot more. The real world can be so much more interesting and rewarding than the virtual one anyway. 6. Embrace business. You're better off being a mediocre photographer who is an excellent business person than vice versa. I know, creatives are supposed to be above business. Here's the key, don't think of business as something that will turn you into a suit and tie. Think of business as nothing more than a way for you to enable your dream job and lifestyle. The better you get at the business part of it the more opportunities you will have. Business for photographers is really just a different application of the creative problem solving skills we already posses. Congratulations on a really well thought out and useful article. Great advice and pictures. Thanks for sharing! Couldn’t agree with you more David. Great post! 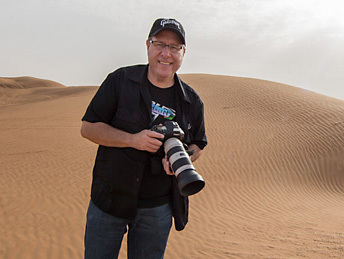 My four mentors: Scott Kelby, Moose Peterson, Joe McNally and Kelby One! Thanks for sharing this advice David. It’s all stuff I know to be true, but it’s good to hear it again. Side note; there is an awesome sense of freedom and adventure in each of your photos in this post, and that I think is what I need the most. Thanks for the inspiration. Thank you I really enjoyed this information. This was indeed a great post. The only thing I found completely impossible here was to find a “mentor”. I am not sure where anyone would find that these days really…I can’t even find people willing to make new photography friends in this town, let alone a “mentor”. People are very self absorbed here, and some are flat out bullies. This blog post was very refreshing thank you for sharing. You have really amazing work. I appreciate everything that you shared! Wonderful post. Getting away from the computer can be rough. Glad when an iPad can do a little more so I can say out of the chair. I need to remember this every day!